On 4 January, 1906, the Sisters of Mercy opened a 20-bed private hospital in a former residential home in Brisbane’s North Quay. This was the first Mater Private Hospital, and the start of a tradition of care and compassion for the sick and the needy which would eventually lead to the establishment of several hospitals, health centres, a world-class medical research institute and pathology and pharmacy businesses—all with one aim—to provide exceptional care. The story of Mater’s development is one of hardship, adversity, triumphs and compassion, characterised at all times by a commitment to care. It’s not just Mater’s story. During its first 100 years, Mater has been part of the story of almost every person who has lived in Brisbane and countless more from all over Queensland and Northern NSW. Wednesday 21 November 2018 marked the launch of a new chapter to our story to reposition Mater as a group incorporating health, education and research for a healthy community. Continuing to provide compassionate healthcare in response to changing community needs, Mater Health Services comprises three hospitals for uninsured patients and four private hospitals, caring for more than half a million patients each year. 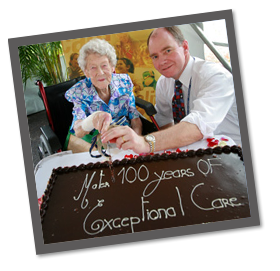 A spirit of innovation has characterised the history of Mater and its founders, the Sisters of Mercy, since the Order's inception in 1831. Unlike most religious orders of the time, the Sisters of Mercy broke with convention, taking their Mission direct to people in need—in prisons, hospitals and homes. Mater people provide exceptional care to patients and their families—every day, every hour, every minute.